Samsung's latest Gear VR headset gets its launch day this Friday 19 August and it's now up for pre-order via Samsung and Amazon. Our Gear VR 2016 review will be hitting the site asap but if you're already convinced, you can hand over the mere $99 to reserve your headset for the official release date in a few days time. We have only seen it listed on Amazon US so far - not Amazon UK, for instance - though you could of course get it shipped internationally. It's also available on Samsung's US store where it now says shipping 'late August'. There's no official UK release date but the Note 7 comes out on 2 September so there's hope it won't be too long. The new Gear VR headset, which has a wider, 101 degree viewing angle and USB Type C adaptor and tweaked controls, will work with the Galaxy Note 7, Galaxy S7, S7 Edge, Note 5, S6, S6 Edge and S6 Edge+. If you're planning to buy the Galaxy Note 7, which this is a companion to, it might be worth holding on to see if it comes bundled. 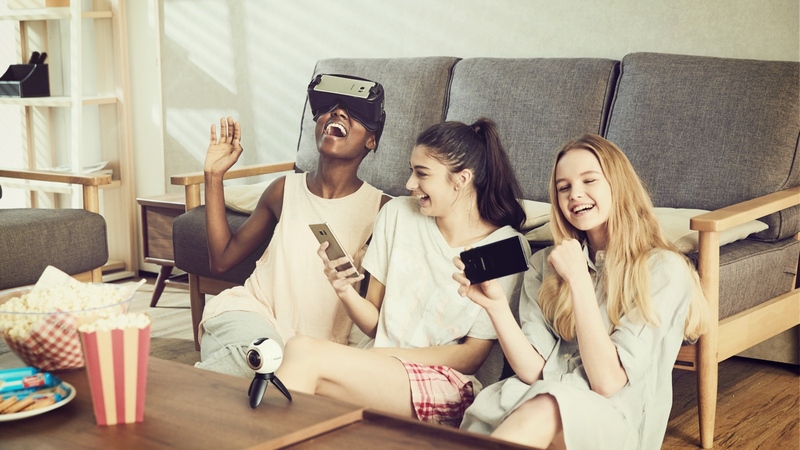 The only other real reason for Samsung Galaxy owners to hold off is the fact that Samsung is listed as one of the partners for Google's Daydream mobile VR platform, launching this autumn. With this will come - we presume - a Daydream ready Samsung phone and Daydream approved Samsung mobile VR headset. That said, the library of Gear VR apps, games and experiences is already so strong and varied, thanks in part to the Oculus partnership, that Daydream will take months to catch up. With prices relatively low we'd even suggest going with Gear VR this year while keeping one eye on Daydream's long term future.